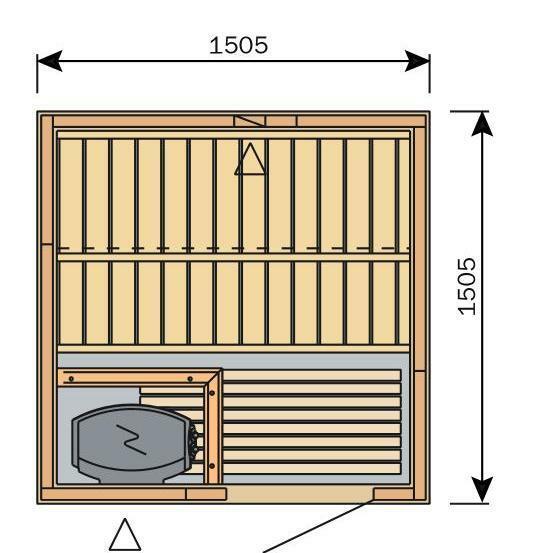 This is one of medium/small sauna set-up. 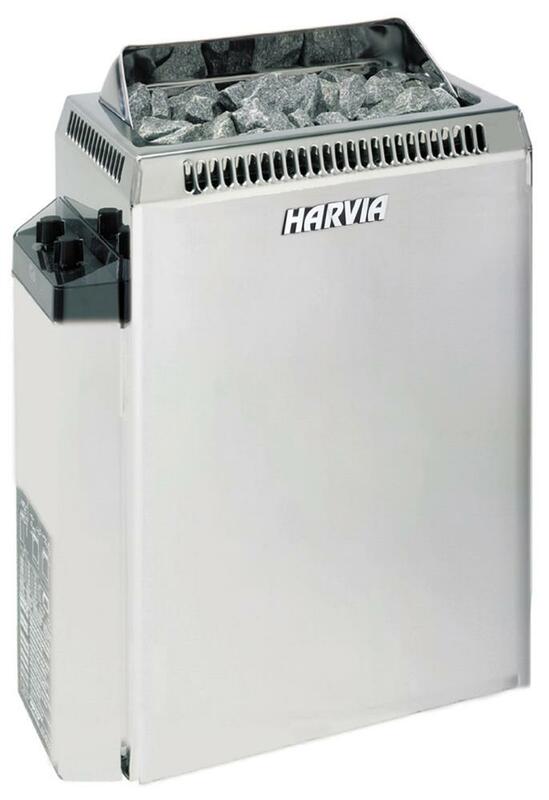 The standard model is the Variant S1515 (L. 1505 x W. 1505 x H. 2000) placed in a corner of the garage of the customer. Walls and ceiling in red Alder. 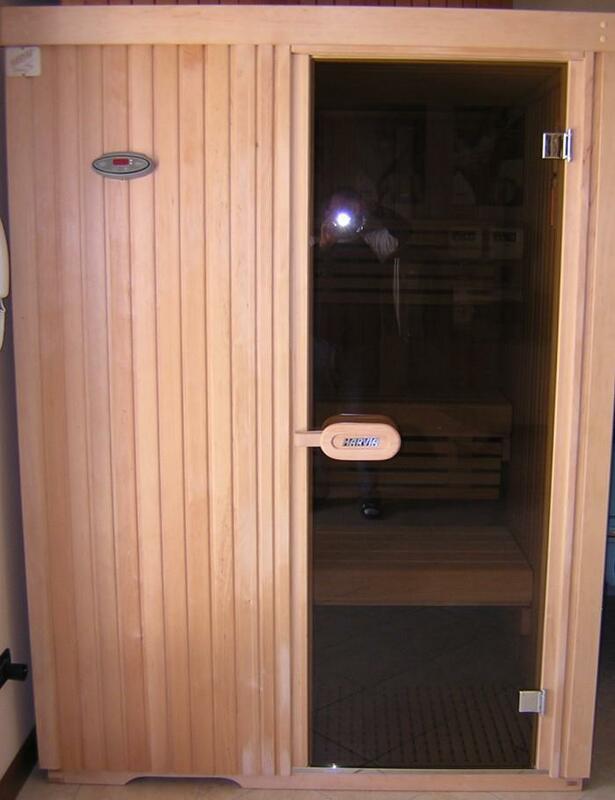 The sauna can achieve maximum 3 peoples and it is equipped by an heater mod. Topclass K45E - Steel (4.5 Kw - 230V) controlled by external digital control mod. Simply "easy touch". The interiors are the standard Formula (abachi) athermic and water resistant wood.